Losing teeth is a big milestone in your son or daughter’s development! 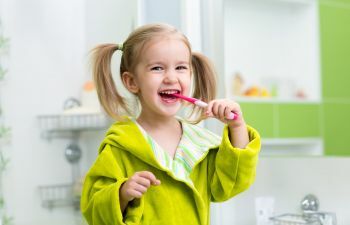 It can be both scary and fascinating for your child, and you might be a bit concerned about whether their teeth are coming out on time. A baby tooth that’s ready to be tugged out won’t need much tugging, at all. Baby teeth don’t usually need to be forced out. They lose their roots when the incoming adult tooth pushes on them and makes them shrink away. What’s left is the empty shell of a non-vital tooth, attached to the gums by a few ligaments. These fibers may need some wiggling to break the attachments, but it doesn’t take much. Encourage your child to gently wiggle their loose tooth every day as often as possible using their fingers and tongue. Constant movement will gradually loosen the gum fibers holding the tooth in place. When the tooth is good and ready, it will pop right out with zero-pain and little to no blood. Time to Call a Pediatric Dentist? At our office, your child will have x-rays and an exam to determine whether things are going according to schedule. Our Napa dentist can remove the tooth if there are any problems. Remember to schedule your family’s next dental checkup with the Alora Pediatric Dentistry team!